Migos can rap about just anything. The chart-topping trio is at it again, this time rapping a children’s book about llamas. 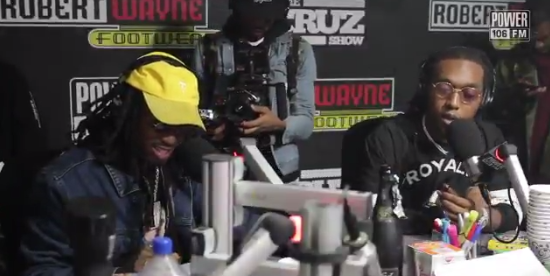 On Monday morning, Quavo, Offset and Takeoff visited Power 106’s "The Cruz Show" to promote their upcoming album, "Culture," and ended up freestyling the children's book "Llama Llama Red Pajama" over their “Bad and Boujee” beat.